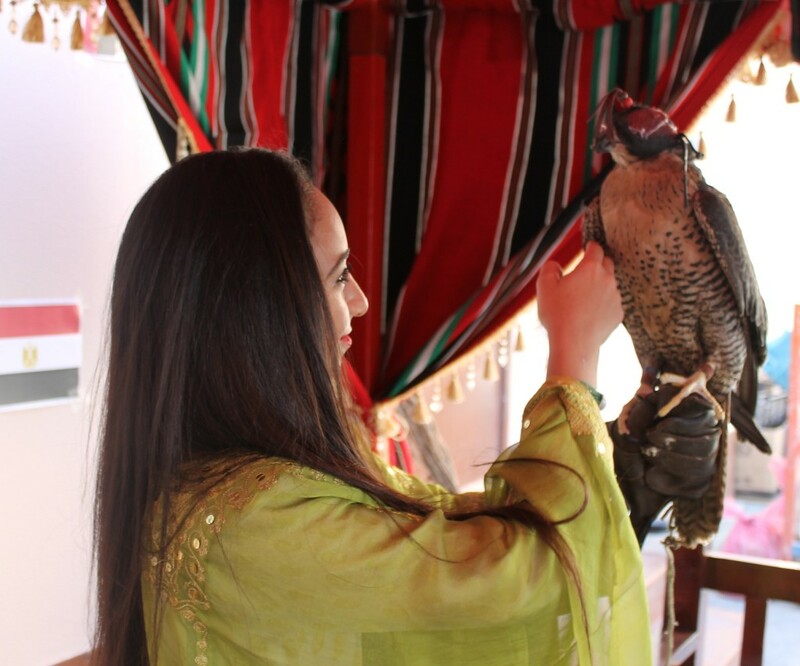 In March, during the Arabic Research and Culture Week, all of our students had fun participating in a range of cultural activities. Throughout the week, each Year chose to learn and research about an aspect from Arabic culture. Everyone had a chance to experience traditional music and dance. I am grateful to all the tutors and staff who made this event such a success. Arts include: ceremonial dances, accompanied by flat drums, and storytelling. The poets of Bahrain are famous for their poetic verses and carry on established traditions while also exploring new themes. Births and marriages call for wide-scale celebrations in Bahrain, which often are a pleasure to take part in. Apart from this, the people of Bahrain are also known for their artistic skills, the boats used for fishing and pearling, being an example of this craftsmanship. The traditional jewelry also speaks volumes about the intricate designs that the people of Bahrain can create. Khaleeji is a style of Arab folk music from the Arabian Gulf area, played in Bahrain with polyrhythms. The style is strongly influenced by the music of Africa. The Bahraini pearl diving tradition is known for the songs called Fidjeri. Fidjeri is a musical repertoire performed traditionally by male pearl divers of Bahrain. It involves singing, clapping, drums and dances with earthen water jars. Liwa is a type of music and dance performed mainly in communities, which contain descendants of East Africans, such as Muharraq and Hidd. The music of Bahrain follows the traditional mode. It is elaborate and repetitive. It is played on the Oud (an ancestor of the lute) and the Rebaba (a one-stringed instrument). Bahrain also has a folk dance tradition. The Ardha is a men’s sword dance, which is accompanied by traditional drummers and a poet, who sings the lyrics. In addition to all of this, one day was focused on Islam. Everyone had the chance to experience a traditional, colourful celebration of the festival of Eid. Students enjoyed taking part in various activities, especially during the Global Citizens Day where students had a chance to experience Arabic culture. The culmination was a series of assemblies from Years 7 to 11 where Mr Fuad Anzarouti, the Head of Arabic, led very informative assemblies about the origins of names of villages in Bahrain and certain cultural beliefs in the Kingdom of Bahrain. All the students showed great enthusiasm throughout the week.